Over the past few weeks, Secret World has become gradually busier as new orphans come through our door every day. On top of tending the other casualties which come to us, as well as preparing for our upcoming events, our staff and volunteers have been working extremely hard as always. Here are a few highlights of recent weeks. We have our first badger cubs of the year. 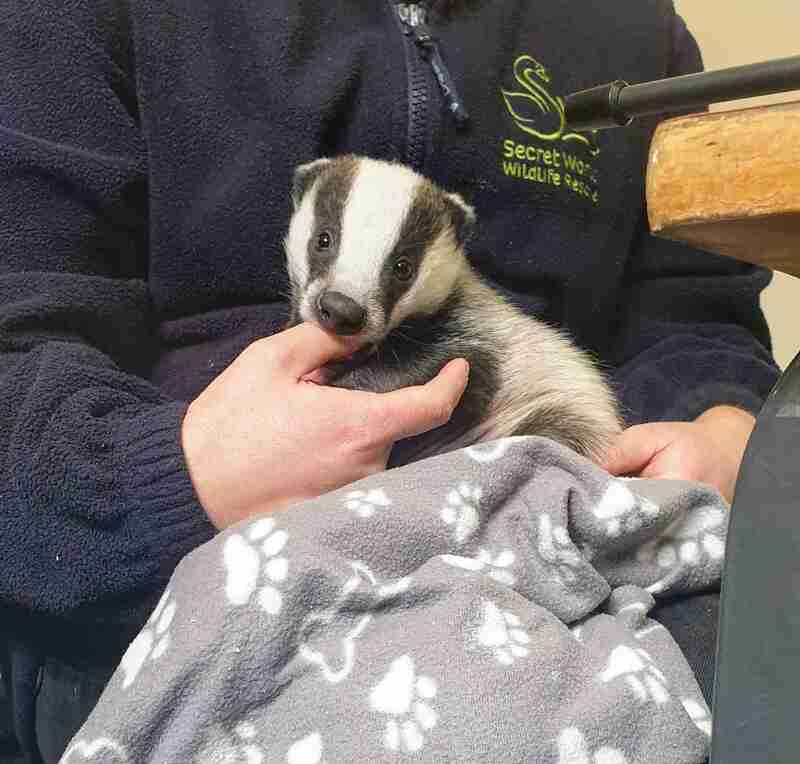 The first came from Cornwall, where he was initially reared by animal rescuer Bob who runs Cornwall Badger Rescue. Bob named the cub Jak, and having bottle fed him from just a few days old, he has come to continue his rearing and rehabilitation with us at Secret World. Jak has since been joined by a second, smaller cub who came to us from Vale Wildlife Rescue in Worcestershire. Named Pickle, he and Jak have been introduced to one another so that they can grow up with another of their species. This is important for their development, and reduces the likelihood that they will become habituated with humans. We mentioned in our last blog update that we had our first two fox cubs of the year. That number has since increased and we now have seven of them who will be spending the next few months with us. Over that time they will live as a group, growing and learning together, before their eventual release later in the year. These cubs are with us having come from a range of unfortunate circumstances, but wherever possible we try to reunite cubs with their mother. We were recently able to do just that, with an impressive litter of seven cubs which were found when some shipping containers were being moved. After a quick check up at Secret World (see picture above), they were taken back to where they were found by a volunteer who sat and watched from a distance. Thankfully the mother did come back and carried each cub away to a new place of safety. 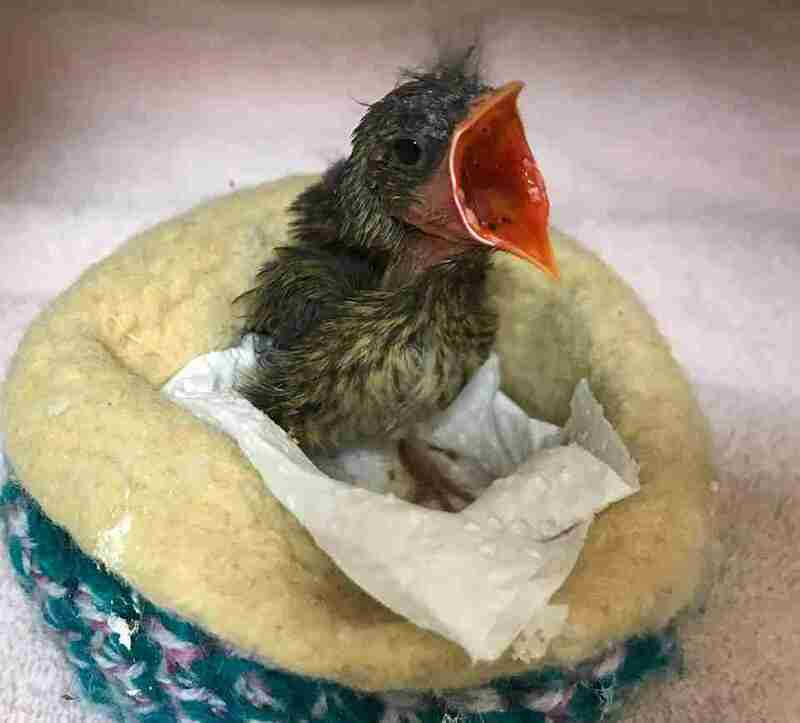 In the week when troubles facing nesting birds hit the headlines across the country, two baby blackbirds were brought to us after their nest site was disturbed. Inevitably, these were the first of many and we now have chicks of several species, growing in size and number by the day. After over a year in our care, our two young otters have made the next and penultimate step towards their return to the wild. Following months of surveying for a suitable release site, our release manager Jamie and a team of volunteers set up a release enclosure in situ where the otters can get used to life in their new home. Assuming they don’t make their own way out, once they’ve spent a few weeks in their release enclosure the fence will be removed and they are free to go. We are grateful to the landowner for providing food and water for them throughout this process. Did you know we have a charity shop in Burnham-on-sea? We recently closed for a week of refurbishment, and what a week it was. 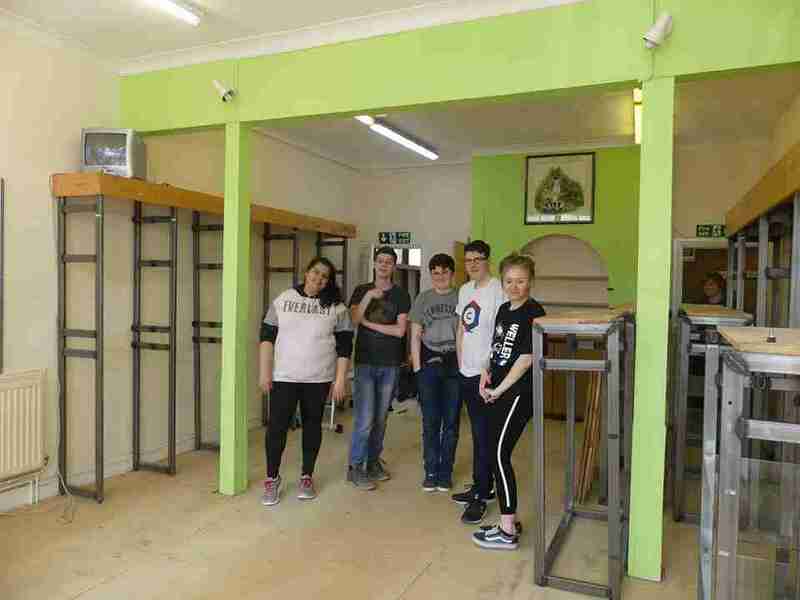 The community came together as a group of students from Weston College joined our staff and volunteers to redecorate the entire shop. We are very grateful to everyone who helped out, and are looking forward to seeing more visitors to the shop over the coming months. If you’ve not been before, it’s easy to find and not far from the seafront on Victoria Street TA8 1AW. On Thursday 4th April, our patron Martin Hughes-Games spent the evening with us in Bridgwater, telling the audience all about his life and career, and providing an insight into a day behind the scenes of Springwatch. On top of the very entertaining stories and videos he had to share, Martin also took the time to meet guests and sign his new book. All proceeds from the event go to Secret World and we would like to say a massive thank you to Martin and everyone else who came along. It was a wonderful night and we couldn’t have done it without you. You can get Martin’s new book, A Wild Life, from Amazon. In fact, if ever you shop on Amazon, you could be helping us out in the process. By logging in to smile.amazon.co.uk and choosing Secret World Wildlife Rescue as your charity, we will receive a donation from every purchase you make. It’s very simple to do and it all adds up! 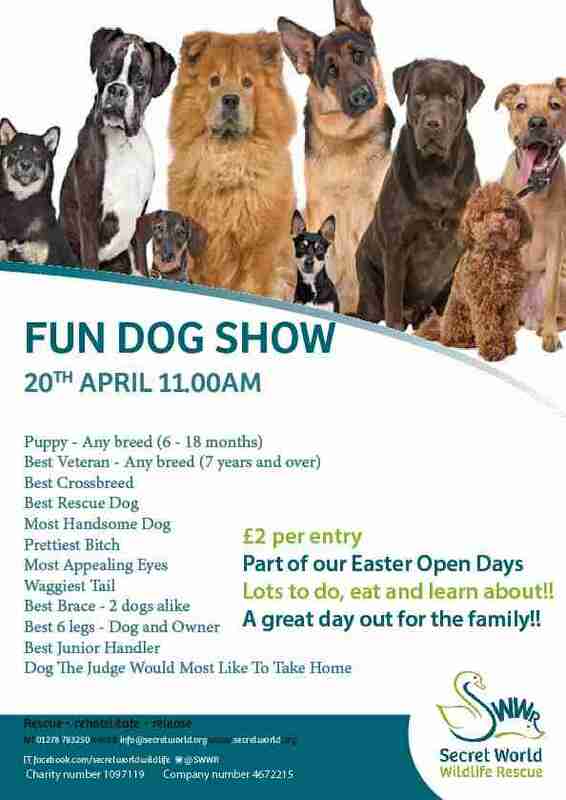 On the Saturday of our Easter open weekend we are hosting our first ever fun dog show. There are several classes to enter, and it should be lots of fun! Find out more below. Spring begins this week and the orphan season is getting underway – albeit slowly. Over the past few weeks we’ve seen some interesting cases, including our first cubs of the year, and some happy returns to the wild. Fox cub, Rowan, having a milk feed. Our first orphan of the year was a fox cub who was found in a hay barn. Having searched for siblings or parents to no avail, he was brought into us. 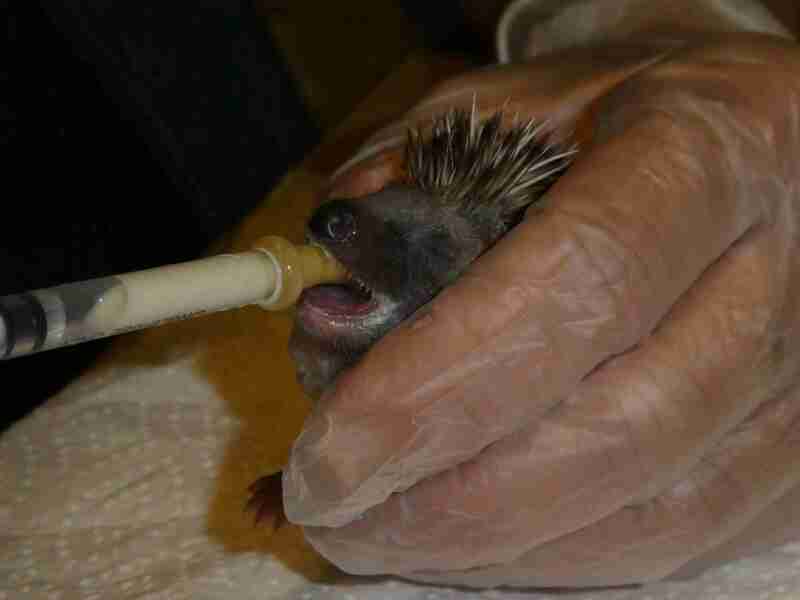 Now known as Rowan, he weighed just 74g on arrival but has been feeding well and is now well over 500g. He no longer requires bottle feeding and is able to tuck into his meaty mash quite happily. A week later we had a second fox cub admitted at just a few days old. With eyes still closed the cub weighed 150g but is doing well with the help of animal carer Jade, who has named the cub Willow. Remember the otter cub who came into us around Valentine’s Day last year? She was named Amore, and has spent much of the year since in our pre-release otter pen with her companion who was admitted at a similar age. Together they have been running and playing, growing and building strength and often making a mess of their pen! A year on, it’s nearly time for them to go. Our release team will soon be constructing a release pen for them at a carefully selected site. The otters leave Secret World and move to the site soon after, and spend a few weeks in the release pen while they adjust to life in the wild. We will continue to feed them during this time, and for some time afterwards when the fence comes down and they are free to go. We’ll be sure to share the story of their release so keep an eye on our social media. Two young rabbits going back to the wild. Thanks to a little biological trick known as induced ovulation, rabbits are able to breed at any time of year. This means that though there are many natural predators of rabbits in Britain, as a species they are able to bounce back quickly and colonise new areas, whenever conditions are suitable. It also means that we may be dealing with orphaned baby rabbits at any time. 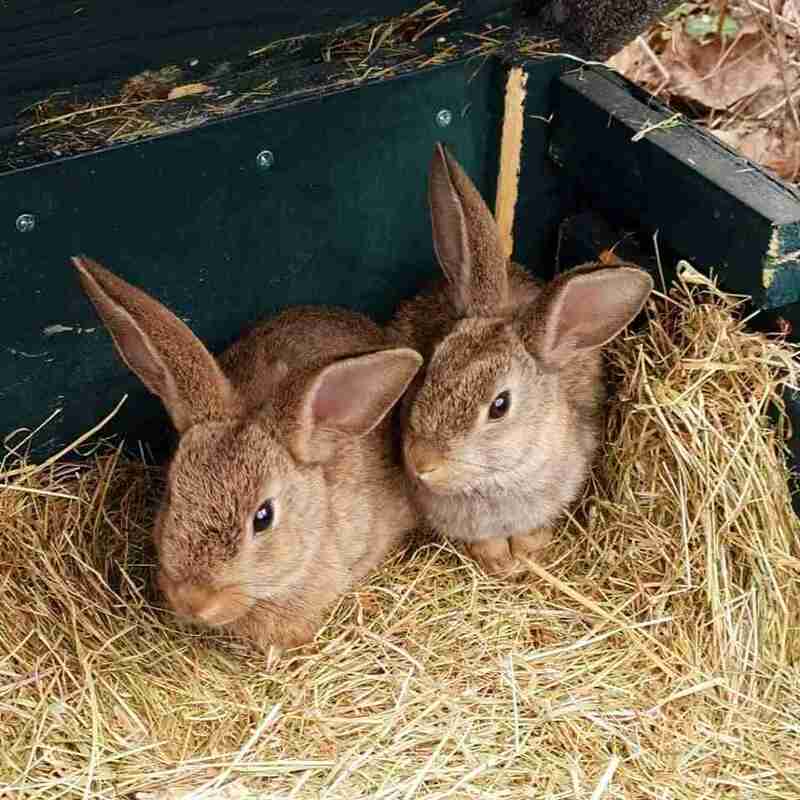 At the moment we have several rabbits being reared on site, whilst some older ones recently went for release. Like all our orphans, rabbits undergo a soft release and are moved to the release site in a purpose built box with food, water and bedding to aid their transition into the wild. Volunteers Graeme and Chris caught up with two swans who are ready to go back to the wild after a short stay with us. It’s important to be gentle when handling all animals, and experienced volunteer Graeme is more than happy to share his skills with others. Once caught, swans are placed in specially made swan wraps which protect their wings in transit. Ikea bags make carrying them more comfortable for us and the swans. Volunteers Chris and Graeme sit a swan into a swan wrap. Holding the neck gently keeps the swan still whilst the swan wrap is applied to protect the wings while being transported. In the background, an Ikea bag waits patiently. In the UK most bat species hibernate through the colder months of the year. Like any hibernating animal they need to be a decent weight before they enter hibernation or they won’t survive the winter. Several bats who came into us last autumn failed to get up to a suitable condition in time for release before the temperatures dropped. 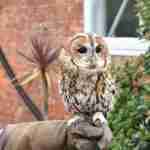 Having spent the winter with us, three pipistrelles and two brown long-eared bats will soon be heading for release. Before that however they need to build up their flight muscles so will be moving to the facilities at RSPCA West Hatch before they go back to the wild. 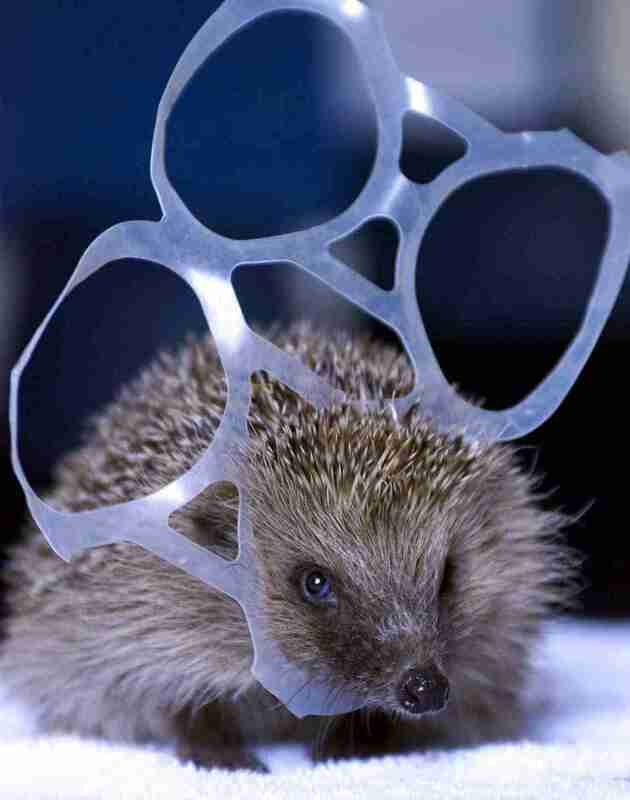 Litter in our environment poses a direct hazard to wildlife. March 18th is Global Recycling Day. At Secret World we recognise the importance of reducing waste whilst reusing and recycling what we can. We often see first hand some of the damage that discarded waste can do. There’s plenty you can do to help, from recycling at home to encouraging your local council to improve their waste management schemes. 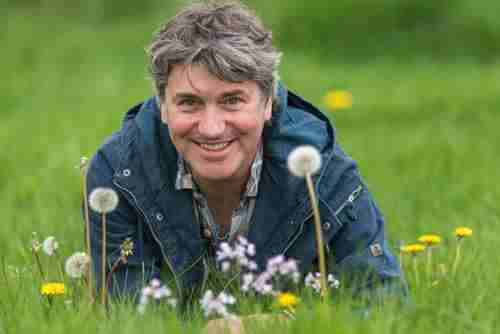 Naturalist, author, TV presenter and patron of Secret World, Martin Hughes-Games will be giving a talk at the MacMillan Theatre in Bridgwater on the 4th April. Martin will be talking about his life and career so far, including some highlights from working on BBC’s Springwatch and Autumnwatch. All proceeds from the event will be going straight to Secret World to support the work that we do. Some tickets are still available and can be bought here. The winter seems to be finally drawing to a close, and spring is nearly here. 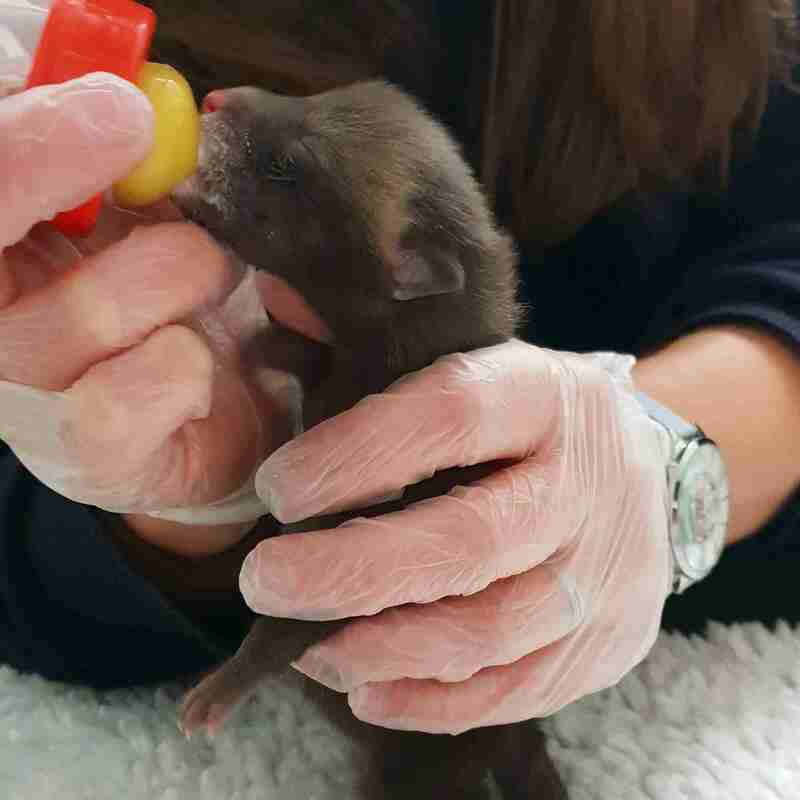 The weather is warming up, and as breeding season gets underway for much of our British wildlife, we are awaiting the arrival of our first orphans any day. These last few weeks have been interesting and not without their ups and downs. Zazoo was a beloved member of our Secret World family and will be missed dearly. Though there are several positive stories to be told and happy endings for some lucky animals, we began the week in mourning as we said goodbye to our resident barn owl, Zazoo. Zazoo had lived with us at Secret World for many years, having been bought as a child’s pet. They soon realised what a nuisance a barn owl can be, calling all night and attracting wild owls from nearby who also made a racket, depriving the neighbourhood of sleep. So he came to live with us, and there he stayed. Since then he has been an ambassador for Secret World and the work that we do, regularly visiting schools and meeting the public across the south west, raising money, awareness and plenty of smiles wherever he went. Zazoo was 18 years old, and with old age came health issues which finally got the better of him. We were very sad to see him go, and he will be dearly missed. Nevertheless, our work continues, and we were pleased to be able to return three handsome swans back to the wild. One of them had come into us having crash landed into a road. This often happens in wet conditions as a swan may mistake a wet road surface for a body of water and attempt to land as they would on a lake or a river. Thankfully this one was able to make a full recovery and hopefully won’t make the same mistake again! Roads can be an issue for much of our wildlife, particularly at this time of year when there is still a lot of traffic on the roads when night falls. A few weeks ago a badger came into us which had been hit by a car, and despite our best efforts it sadly didn’t make it. We also attended a roe deer by the roadside following a collision with a passing car. Unfortunately, it had suffered quite severe damage to its rear end and was unlikely to recover. Deer being very fragile animals, the decision was made to put it to sleep. 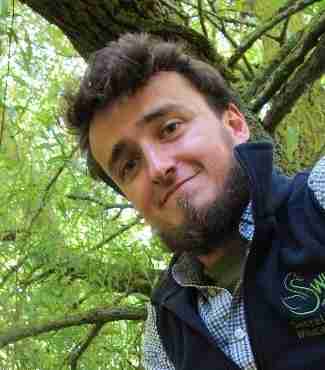 We would like to thank Avon & Somerset Police for their help with this case. What many people don’t realise is that deer often lose their sight following a trauma such as a road accident. The blindness is only temporary and their eyesight should return within a few days. At Secret World, we have facilities tailored to accommodate this and our deer pens have padded walls to protect the deer from further injury, as they often panic when their sight returns and they see their new surroundings for the first time. It’s important to keep an eye out for animals by the roadside. Occasionally, an animal that looks dead may still be alive and could be in urgent need of help. A badger curled up by the side of the road, for example, may be seriously injured and suffering. If you are able to, it’s often worth checking. If you do find an animal which needs help, you can always give us a call. 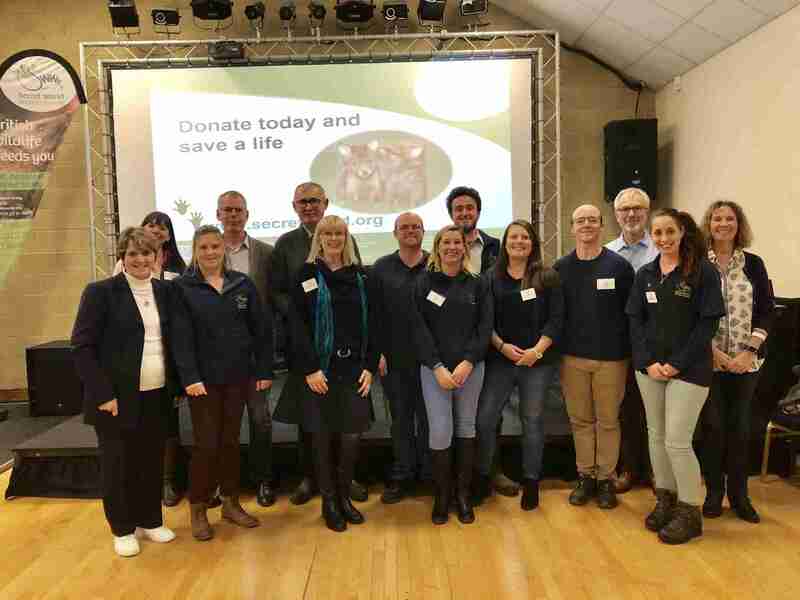 This month we held our first ever annual conference, all about caring for British wildlife in the wild and in rescue centres like ours. The weekend was a huge success with some great talks and discussions, and we’d like to thank everyone involved for making the conference what it was. 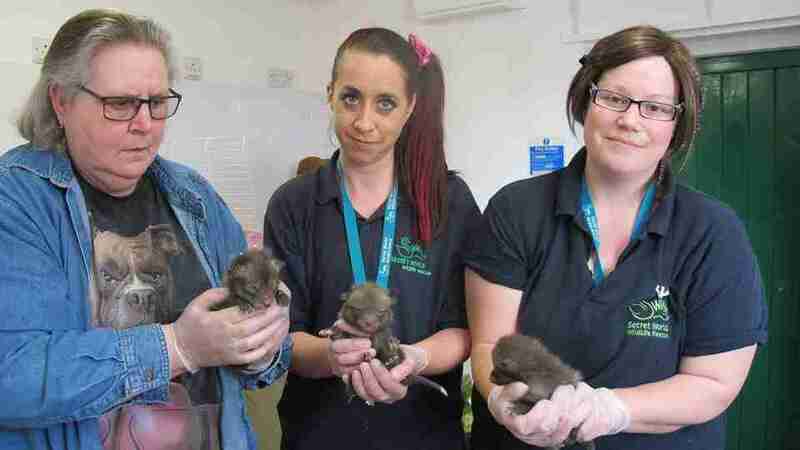 You can find out more about how it went on our Twitter feed (@SWWR) or by searching for #SWWRconference2019. Staff and speakers from the first day of our conference including our founder Pauline Kidner, CEO Lesley Browne and scientific advisor Liz Mullineaux. 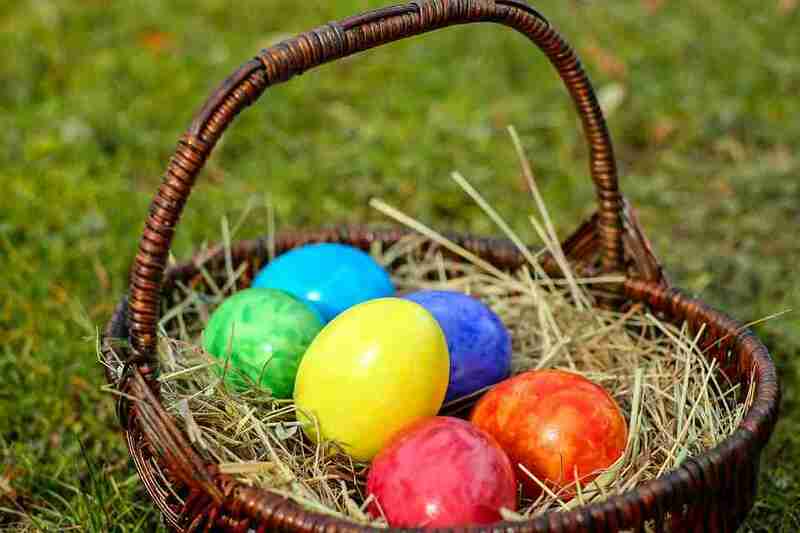 Join us for some family fun at Secret World this Easter weekend. You can meet our residents and learn their stories, hear fascinating talks about the animals we help and join in with plenty of games and activities in a beautiful setting. You can also explore our market stalls and enjoy a tasty BBQ! We’d love to see you there. Now that the dust has settled after the festive period, we are reflecting on 2018 and planning the year ahead. Last year was certainly an eventful one. Several periods of extreme weather, from snow in March to a very hot summer, made life quite difficult for us and many of the animals admitted. Throughout the year we had over 5000 animals through our doors, and we’ll likely see a similar number in 2019. Though we receive fewer admissions through the winter, we never close our doors and our hard-working staff and volunteers were here throughout the Christmas season. Animals find themselves in need all year round and we endeavour to be there for them always. 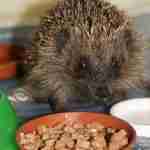 One individual who particularly caught our attention recently was an unusually small hedgehog. 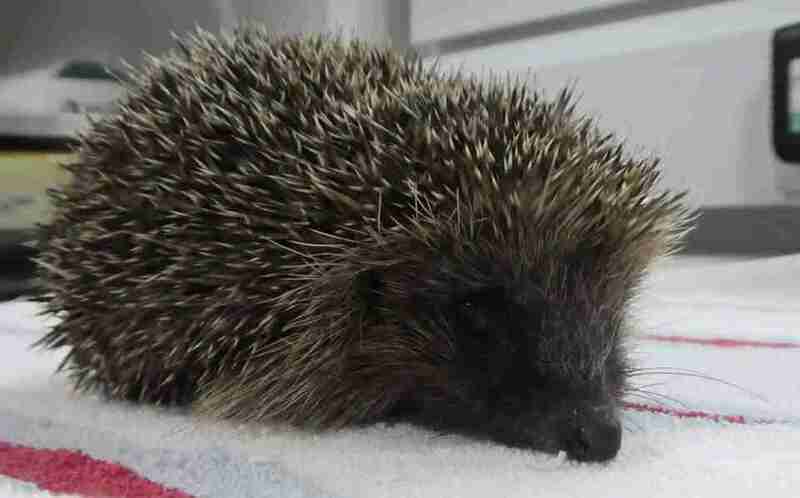 Known as little Harriet by our carers, she was found foraging desperately for food when she should have been hibernating and came into us weighing just over 200g. Thankfully she is safe and warm at Secret World, and while many of us are trying to shed a few pounds after the Christmas period, we are pleased that little Harriet is gaining weight nicely. As you may have heard already, towards the end of December seven of our staff and volunteers travelled to Lyme Regis and braved the cold waters for a swim to raise money for the work we do. Even our founder, Pauline Kidner, went in and managed to fall flat on her face, which perhaps increased the amount of donations and sympathy she received! They raised over £1000 and we are very grateful to them and to all who donated or came out to support us. We will be making every effort to raise funds this year so look out for our open days and other events. We would love to see you. If you’d like to raise money in your own way, please do get in touch. Whether doing a sponsored run or hosting a coffee morning, we would love to see what you can do to help Secret World this year. Keep an eye on this blog as we’ll hopefully be posting more regularly to keep you up to date with everything happening at Secret World and how you can get involved. This social movement has been raising awareness of the need to raise global animal welfare standards. 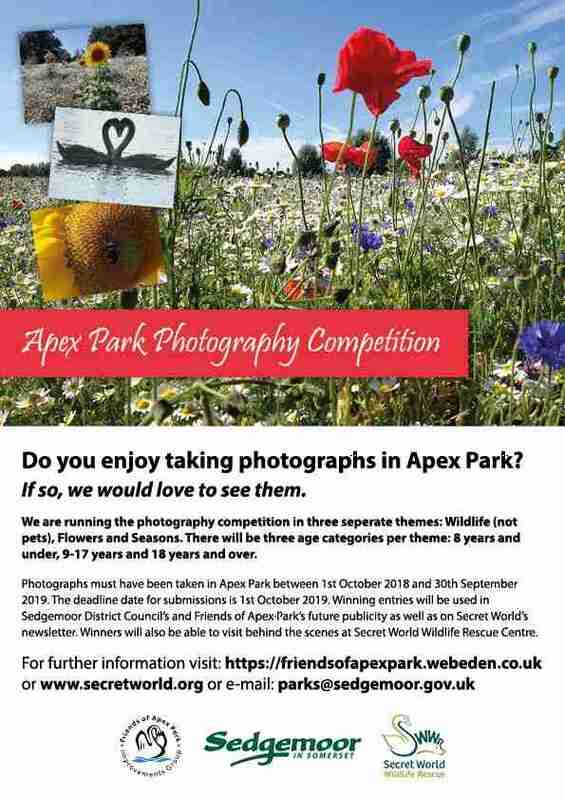 T.V’s Chris Packham is getting behind the event and challenging wildlife lovers to raise money for British wildlife. As one of the south wests biggest wildlife charities we too are supporting World Animal Day. Chris Packham, one of our patrons commented “Secret World is caring for British Wildlife in an amazing way. They are wonderful people doing wonderful things”. We are asking for support to get us through what is looking like being a busy Winter period. As little as £3 will feed a poorly bird and every penny counts. The challenge made by the television presenter comes after one of our long standing supporters completed a 1600mile motorcycle journey in aid of Secret World. Robin Seymour visited 26 Harley Davidson dealerships around England, Wales and Scotland. Robins challenge took him from Surrey to Scotland and back to our centre in East Huntspill. To donate to Robins challenge, visit his just giving page ‘Robin Seymour Ironhog 2018’. Two of the incredible seabirds and rare inland visitors have been brought to Secret World over the past few days. These enigmatic birds are ocean wanderers, mating for life, they usually only come to land to breed on grassy clifftop slopes but breeding season is over making their arrival especially unusual. The bird was collected by one of our volunteer response drivers and when it arrived at our centre created quite a stir. Amazingly, the very next day another Manx Shearwater was found when it walked in to a house in Taunton. Spending most of their lives at sea, these birds have not developed a fear of humans so the homeowner would likely have had quite a shock. Both birds were assessed at Secret World, stabilised and then transferred to RSPCA West Hatch where they have special facilities for sea birds. Animal carer Dan Bryant said “It was amazing to see the birds but right that we should pass them on to West Hatch who have experience of these incredible birds”. This beautiful small bat was found clinging on to the grill of a car. This amazing and usual sight must have been a shock for the kindly person who alerted us to it. These little bats were only identified as a separate species in 1970 and news of its arrival spread quickly through our team. The bat is now being cared for by our animal carers. Look out for next weeks blog to get an update on its progress. Dont forget that our circus themed ball and auction is next week on 13th October. This is sure to be a great night with life music and entertainment. See our website for details. A swan which had been unable to eat has been brought in to Secret World to receive the care it needs. A member of public spotted the bird at Portishead Nature Reserve who saw that it appeared hungry and distressed so it was brought in to the centre to be assessed. The lump was found to be grass or mud after being removed by the animal carers and the swan was then given fluids to rehydrate before being out in a pen to recuperate from its ordeal. Once he is fit enough he will be released back where he was found, whenever possible animals are released back where they are found as it is familiar and they will be easily able to access food and water. In 2017 Secret World treated 212 water birds. Another water bird which has been admitted to us this week is a Gannet which had been blown in land from the coast in the recent stormy weather. Luckily, a homeowner spotted the unusual garden visitor grounded and in need of help. The bird was brought in to our centre to be assessed and was found to be cold and wet but with no obvious injuries so was given fluids and warmed up, he was then put in a pen to get some rest. Once the gannet was fit enough he was transferred to to West Hatch RSPCA who had other birds he could mix with in their pre-release facilities. Once he is fit and healthy he he will be released back by the sea. Three tiny and helpless baby hedgehogs are being hand reared by one of our volunteers after sadly being abandoned by their mother. The tiny hoglets had been cowering under a shed, one baby had crawled out in search of its mother who was nowhere to be seen and after being spotted by the homeowner Secret World were alerted. They were brought straight to us and were found to have no injuries but were far too tiny to fend for themselves.Volunteer Jenny Warring is now caring for the trio off site which enables her to feed them every few hours around the clock. It is vital they put on enough weight before they are released to allow them to hibernate through the winter months, if they are arent able to they will stay in Secret Worlds hedgehog hotel “Hogwarts” until spring when they will be released when the weather is warmer. Currently Secret World is caring for 50 Hedgehogs but this number is expected to swell as Autumn and Winter are testing times for these declining animals. 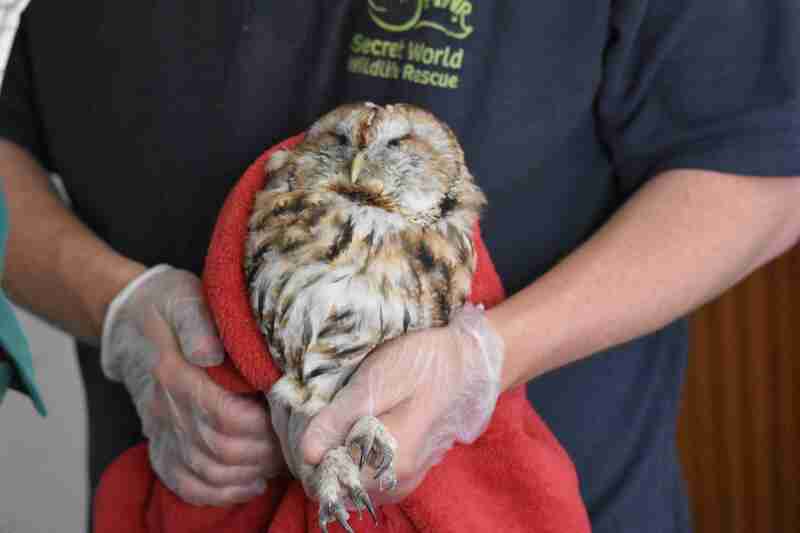 A tawny owl which had been treated here at Secret World and was about to be released back in to the wild has been found to be suffering from an eye ulcer. 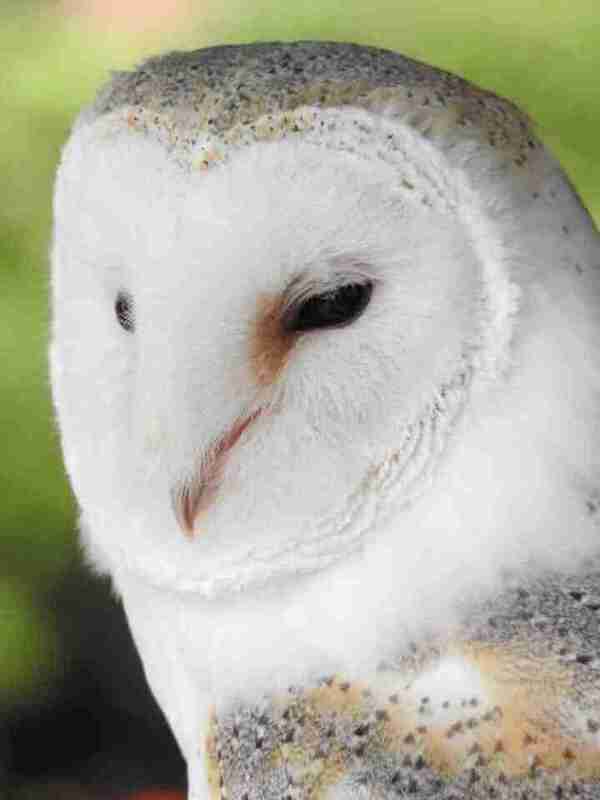 Its release was delayed while a vet examined the owl which has now been given the all clear. Our beautiful resident Tawny Owl, Star, has had a visit from the vet this week after some attempted amorous behavior with a wild interloper! Star has suffered from damage to the top of her beak after trying to get to a wild owl on the other side of her pen. She has been left with a small injury which has been assessed and treated by a vet, and she will soon be back to normal! 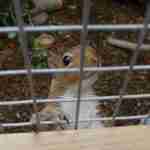 We need your help foraging for food for 5 energetic squirrel orphans. We try to feed our orphaned squirrels on the food they would naturally find in their habitat, so with this in mind we are asking for your help to search out their favourite foods in parks, woodlands and even your garden. This will help us get them fighting fit and ready to be released. Foraging is a great way to get out in the countryside and learn more about these precious habitats, especially in the name of helping these youngsters. This week at Secret World we have had a lot of birds through our doors, mostly pigeons. On Tuesday alone we had 16 admissions, of which 10 were pigeons. Another bird in need of our help was a Kingfisher. These easily stressed birds are a rare visitor to Secret World with just 3 admitted so far this year. This patient had been brought in after flying in to a window at a house in Chew Magna. The homeowner saw the animal was distressed and did the right thing by bringing to our centre to be assessed. Luckily, the kingfisher was suffering only from a slight head trauma after hitting the window. 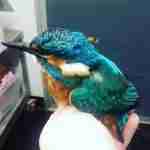 Animal carer Dan Bryant who was responsible for assessing the kingfisher said “We now need to test fly it in one of our flight aviaries, and if all goes well then we can release it back in to the wild”. One success story this week is a long eared bat, who thanks to the quick actions of a member of the public and the care it received at Secret World will take to the skies again. 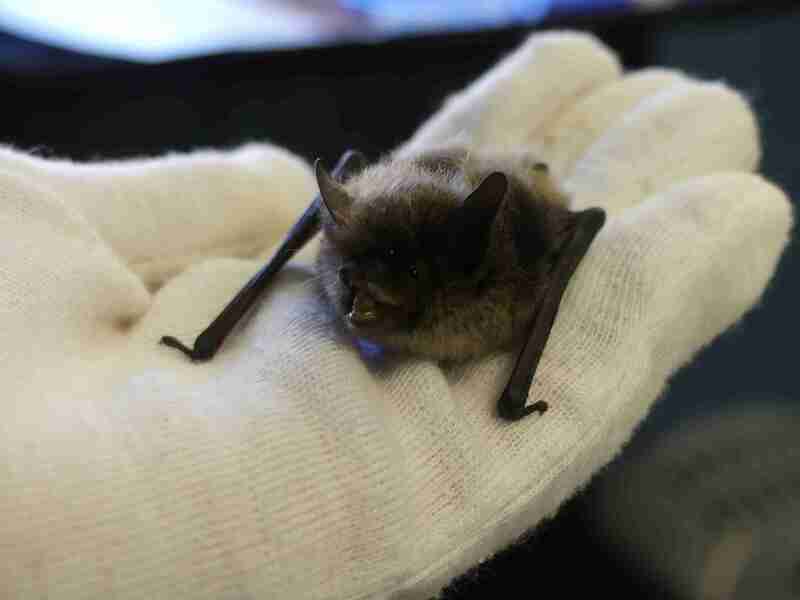 The adult bat, which would not normally be found on the ground, was spotted lying flat in a car park in Highbridge by workers at nearby Eaton Controls UK who then promptly called Secret World to seek advice. One of our volunteer response drivers was sent out to pick it up and bring it in to us. When it arrived the bat was found to be fatigued but otherwise in good health. 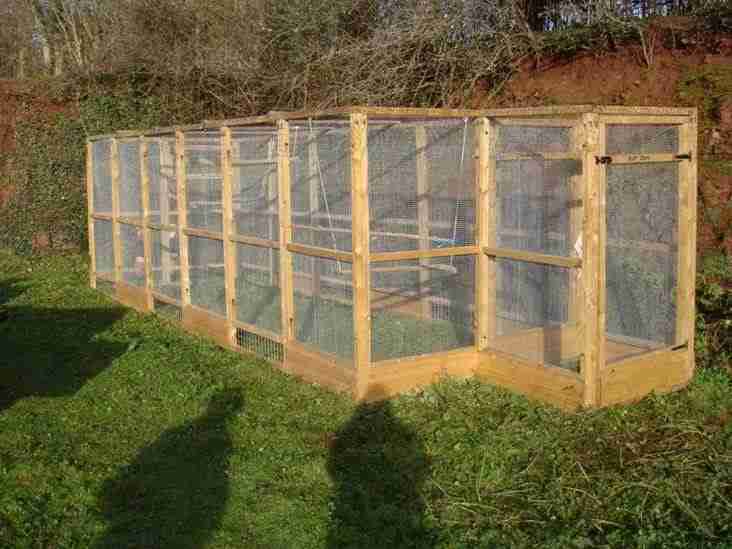 Once it had been given the once over by our animal care staff it was placed in an enclosure to build its strength up. The bat will be released in to the wild as soon as it is back to full health. Did you know that all bat species, their breeding sights and resting places, are protected by law. Some species of bat are relatively common, including the brown long-eared bat. But some, like its grey long-eared cousin are much rarer. 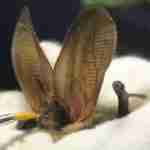 The bats huge ears give it exceptional hearing, it can even hear a ladybird walking on a leaf! Finally we have an exciting event coming up next month that we hope you will be a part of. Yes – the fun and entertainment of the circus is coming to Secret World! On 13th October we will be presenting Cirque de Secret World, a circus themed charity ball at the Webbington Hotel in Loxton. We are inviting friends, supporters and wildlife lovers to our biggest fundraising event of the year, which will be hosted by BBC broadcaster Mike Dilger. Every year we host a charity ball with proceeds going to the continued care of injured, sick and orphaned wildlife. The event will include two auctions- one silent – with over 100 items on sale plus a three-course meal. There will be a magic show between courses as well as a casino for the adults to enjoy. After the meal, guests will be able to burn off their puddings on the disco dance floor and be entertained by a David Ford tribute act until the early hours. To buy tickets visit our website.